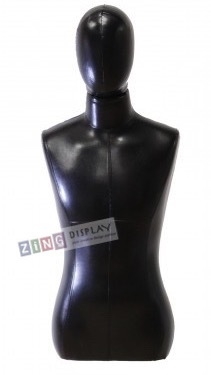 Our black male 1/2 torso display form is unique and eye-catching. Made of polyurethane. Features a removable head and 7/8" base opening with a flange. Base NOT included.